Interested in a career as a beauty therapist? Are you passionate about skin and beauty? Let this be the start of your vibrant new career! 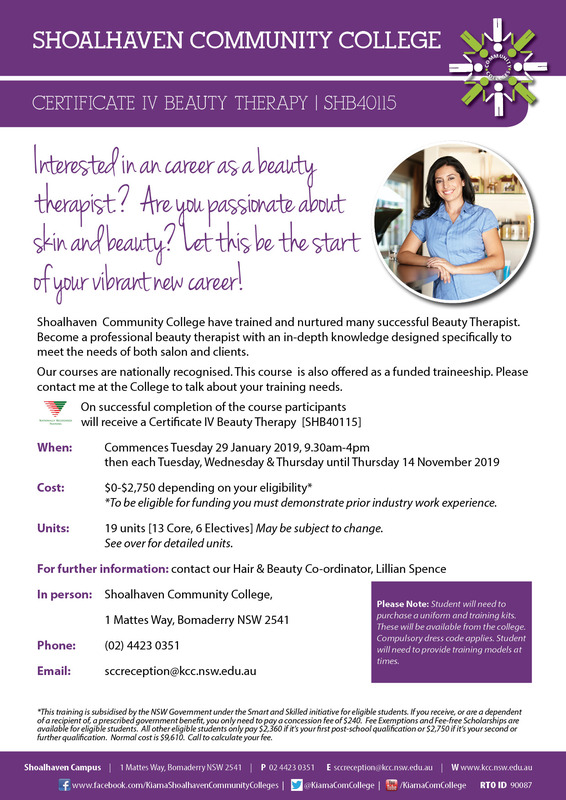 Shoalhaven Community College has trained and nurtured many successful Beauty Therapist. Become a professional beauty therapist with an in-depth knowledge designed specifically to meet the needs of both salon and clients. This course covers the skills and knowledge you need to work effectively in the beauty industry. You’ll learn to provide a range of beauty services including make-up services, nail services, body treatments, facials, waxing and tinting as well as generalist client service and business management skills. As with all our courses there is a strong focus on developing your employability skills and enforcing workplace standards. Training is conducted at excellent training facilities with quality, experienced tutors. This course is suitable for those who want to start a career in the beauty industry or upgrade their skills in beauty therapy. With the skills you acquire in this course, you can gain employment in a beauty salon, day spa, health retreat or hotel. Tuesday 29 January 2019, 9.30am - 4pm then each Tuesday, Wednesday & Thursday until Thursday 14 November 2019. Our courses are nationally recognised. 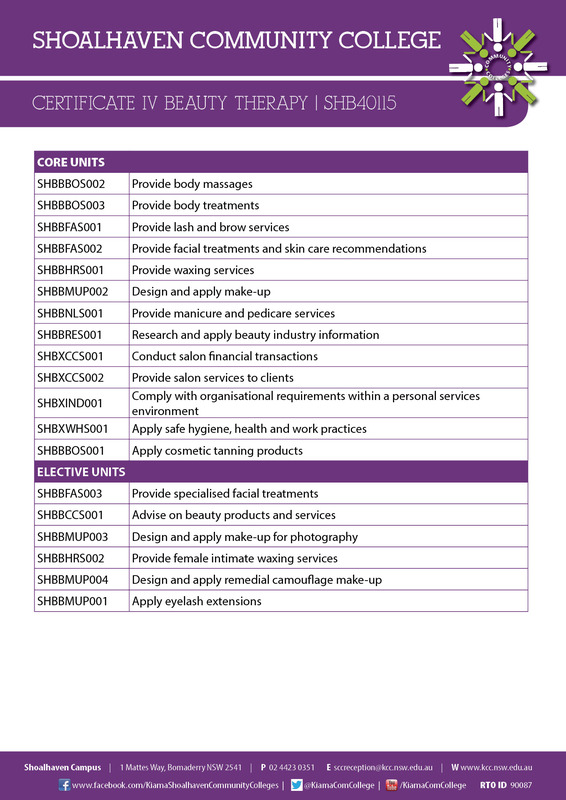 On successful completion of the course participants will recieve a Certificate IV in Beauty Therapy (SHB40115).